David is a qualified Master Teaching Professional having previously enjoyed a highly successful amateur career. Illness cut short his playing ambitions however and he turned to the teaching side of the game which has allowed him to apply his outstanding golfing knowledge to coach and develop golfers of all ages and levels. David runs his golf academy from Kingsfield Golf Centre, Linlithgow. I do not believe in method coaching. 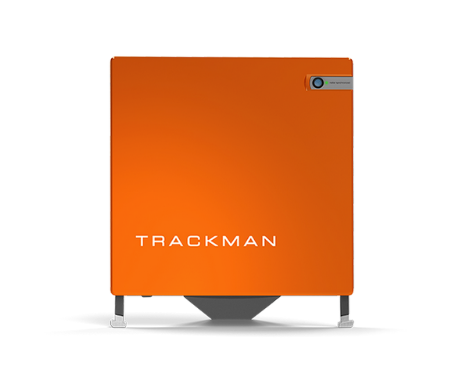 I will analyse your game using Trackman and video technology. This analysis will be discussed fully with you and an improvement plan tailored to your needs set out. I run 1:1 sessions on the range and playing lessons for all levels and experience of the game. My success over the years has been as a result of breaking down the mechanics of a swing into smaller pieces of information, that all players will understand, to enable them to reach their potential to play their best golf. Experience has taught me that instead of having a solid foundation on which to build, players have developed bad habits in their swings and spend most of their time trying to shore up the cracks. When you build a reputation like David’s, the word gets round that he is able to plan a strategy to polish existing skills with the minute detail that improves the already accomplished player. Here's what some of the players I work with have to say about how my coaching has worked for them. I run 1:1 sessions on the range and playing lessons for all levels and experience of the game. Due to the geographical spread of my clients, I regularly coach remotely. I provide analysis and feedback via video technology. Thanks for visiting my page. I hope you've found it interesting and informative. I coach out of Kingsfield Golf Centre, Linlithgow. If you'd like to book a lesson or talk about how I can help you, please get in touch.